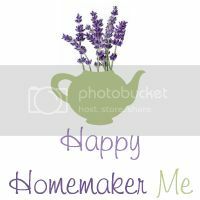 Happy Homemaker Me: Peace. And a little lol. Thank you for so many encouraging notes to me from the last post! It was a very frustrating time, but I've found that as soon as I write it all out, I feel much better. I've left all of the concern and stress about not having a job behind. Now I'm at peace. I have no freaking idea what God has in store for me, but I've tried everything I know, and I haven't gotten any answers, so I'm just waiting. On a humorous end of things, do you want to hear my most recent blooper? On Tuesday, I got a phone call from a friend who I worked with at my last school. She didn't mention the fact that I wasn't hired (which I appreciated) but simply let me know that she knew of a school district near me that was in need of Instructional Aides. She said that they hadn't even posted the jobs online or anything yet, so I could be first pick if I played my cards right. I'm not professionally trained to work in a special ed classroom, even though I have had experience working with children with special needs and love them dearly. It wasn't what I'd ever envisioned my future holding, but...I've given up on envisioning things. Plus, this had simply been dropped in my lap. How do I not go for it? I thanked my friend for the tip, called the number she had given me, and arranged to pick up an application. Deciding to be well-prepared, I printed off my resume and ran out the door. When I got to the district office, I talked with the kind woman who gave me an application. I wanted to turn it in as quickly as I could, so I asked if I could sit in the waiting room and fill it out. When I finished the application, I paper-clipped it to my resume and turned them both in with a smile. My smile turned into a gasp when I got home and went to close my resume on Word, however. I hadn't thought to look over my resume before printing it out and taking it to the district office. I had just "perfected" it, in my opinion, to turn in for the Christian school I had just interviewed for...and forgot that a public school district probably won't have the same appreciation for my Christ-centered outlook as a prospective Christian principal should. 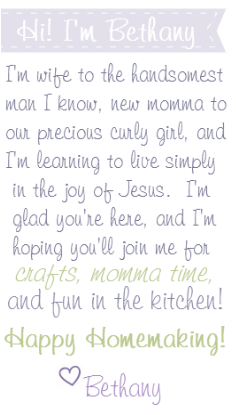 On the first page of my resume, it proudly boasts that one of my core strengths is "Creating a challenging, supportive environment in academic, social, and spiritual aspects," and on the second page, it says that while I directed a summer program last year, I "Shared Jesus’ love with His little ones—those who knew Him, and those who had never heard of Him." Lol, I won't be surprised if I don't hear from them! It made me laugh, though, and if a district supervisor knows that I love Jesus, I'm ok with that. If I don't get a job because of it, I'm ok with that, too. Who knows what I'll be doing this time next year. But finally, thankfully, blessedly, I'm at peace.